Nudossi is a German hazelnut and nougat-spread similar to Nutella. 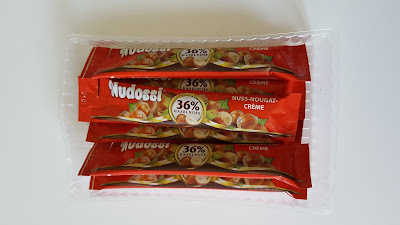 Even though Nutella is promoted as being "the superior hazelnut-spread brand" it only contains about 13-14% hazelnuts while Nudossi contains 36%. 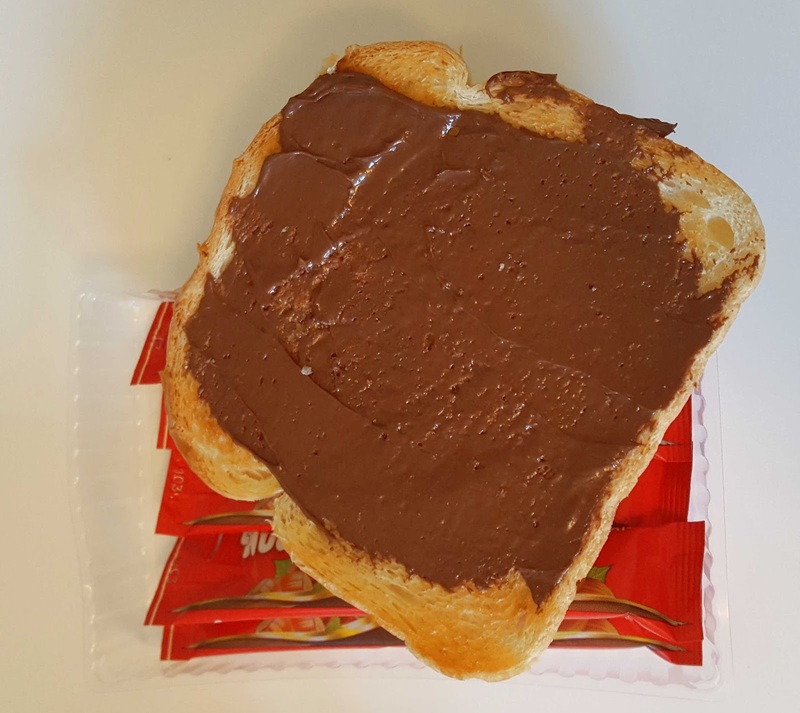 And you can really taste the difference in hazelnuts which sets it apart from the original (Nutella). The toasted hazelnuts dominates the flavor and even if it probably has the same amount of sugar as Nutella it doesn't taste as sweets, which is nice. The chocolaty taste is more subtle. I haven't had Nutella for some years but I still thinks is the better one as a hazelnut-spread because of the classic taste, but I liked the strong hazelnut flavor in Nudossi. I bought it in individual packages of 6 "strips" but you can also find it in jars. Brand: Sächsische und Dresdner Back- und Süßwaren GmbH & Co.